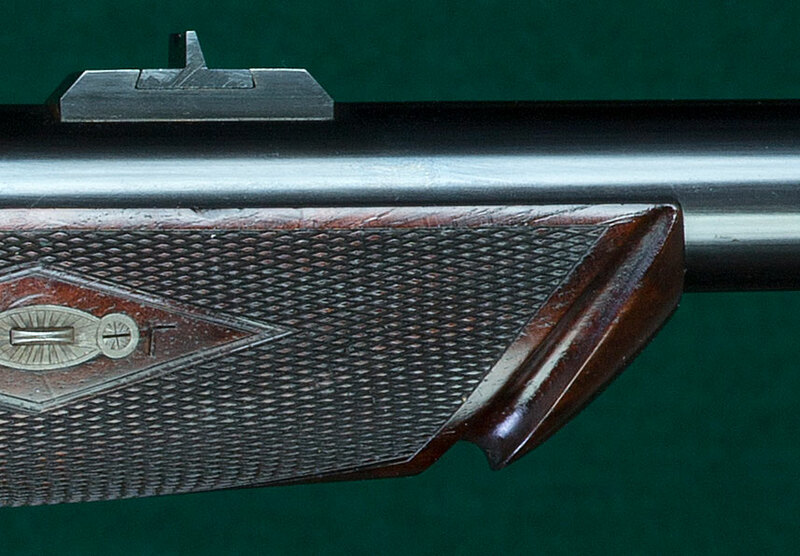 A groove at the forend tip, typical of this fine Scottish maker, (for tying a rifle into a vehicle-mounted rack?). Adopted by the traditionalist Bill Ruger for his single shot Model No. 1.